Your curiosity and talents can't be limited to one or two subject areas. You know what you want to do, but there just isn't a major for it. Design your own major at UW-Superior and take charge of your future. When you design your own major or minor, you, along with faculty members and an advisor, build a degree that reflects your own unique talents and experiences. *The individually designed major or minor is also available online through UW-Superior's Online Learning program. With an individually designed major or minor you have flexible class choices as you combine courses from multiple areas to create your major or minor. The teachers want to know you here. You're not a face in the crowd. Read more. 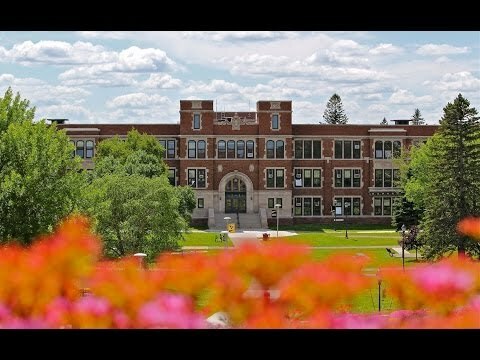 The people you meet at UW-Superior really influence your experience here because with a small campus, the connections are so much deeper. Read more. My professors help me by giving moral support. They have an open door policy, and I feel comfortable dropping in to say 'Hi'." Read more.